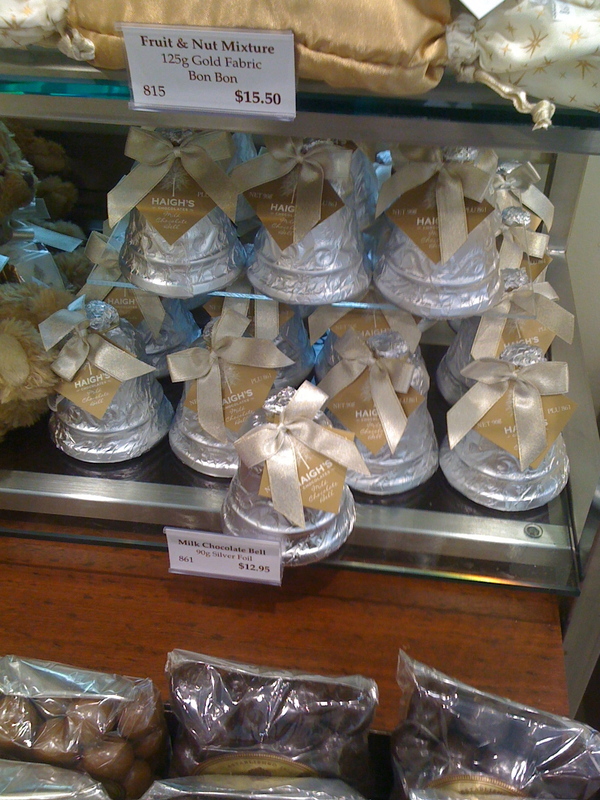 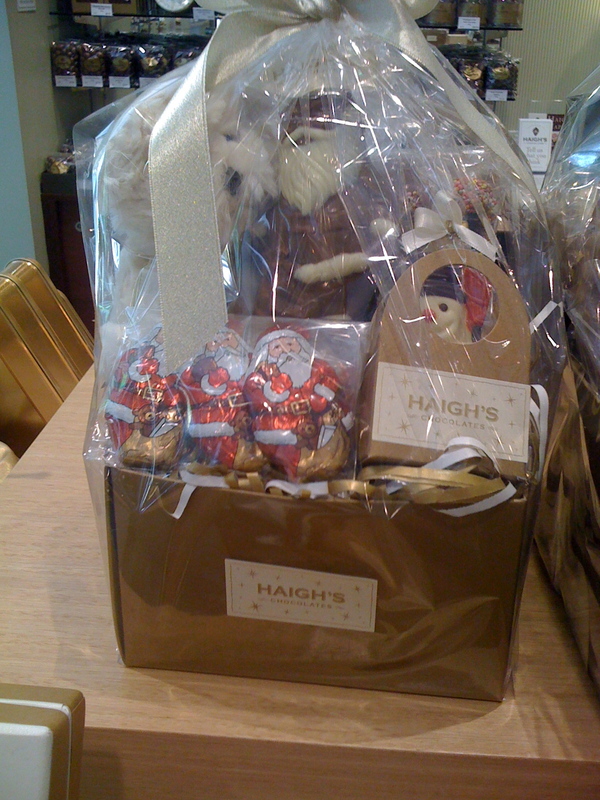 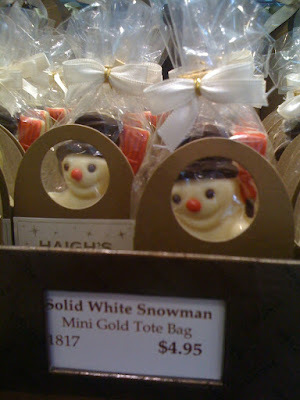 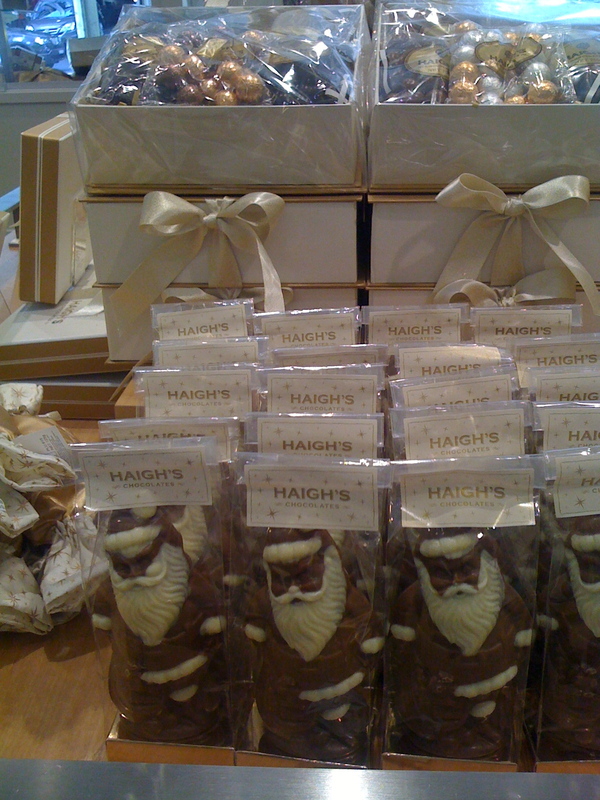 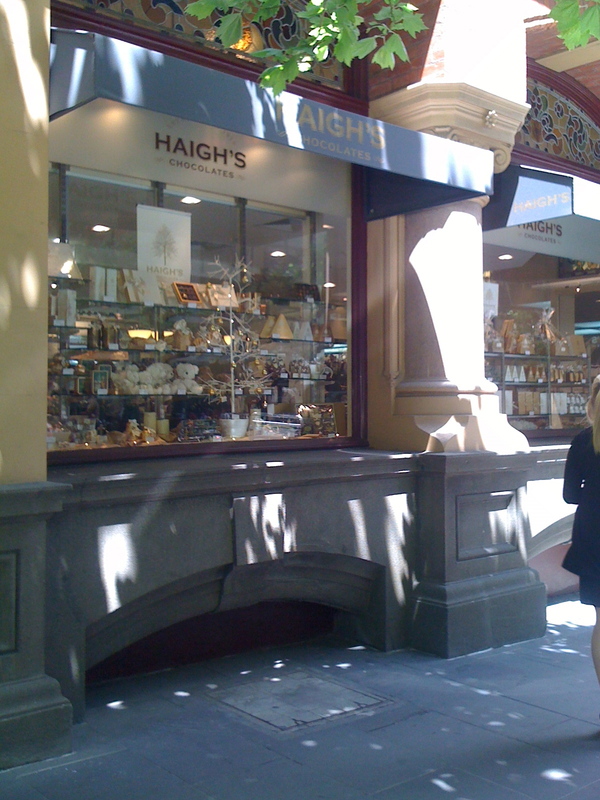 Haighs always have great chocolate but I love it at Christmas. 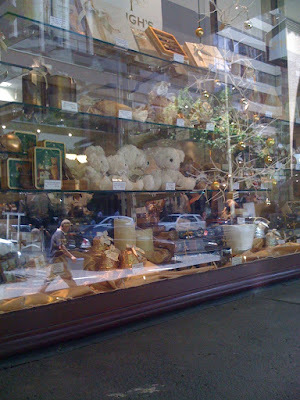 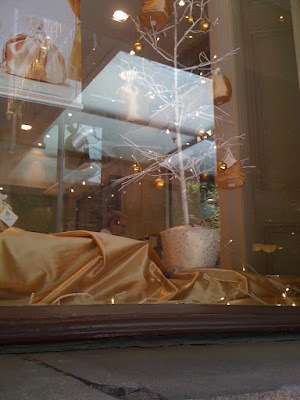 Their window at their Collins Street Shop in Melbourne this week looks good enough to eat. 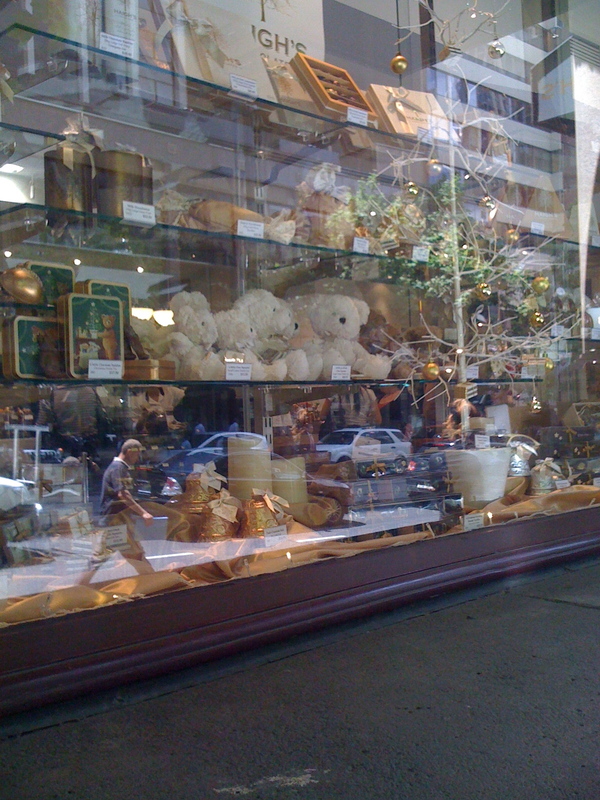 I just couldn't resist gazing into the windows and then stepping into the chocolate box and making a few purchases to have in the cupboard just in case! 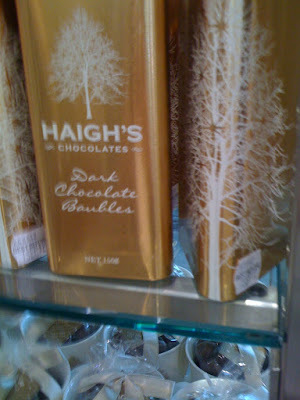 I think I would like it in there! 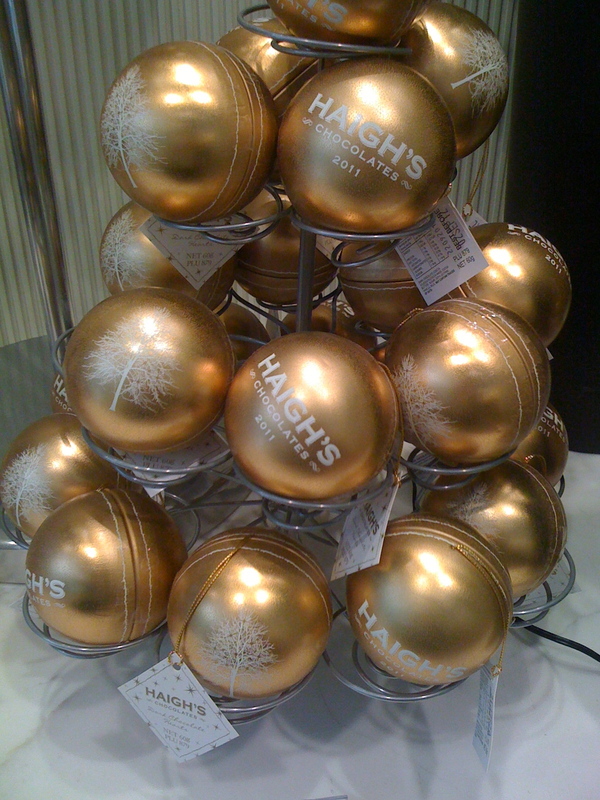 What is in the gold baubles?